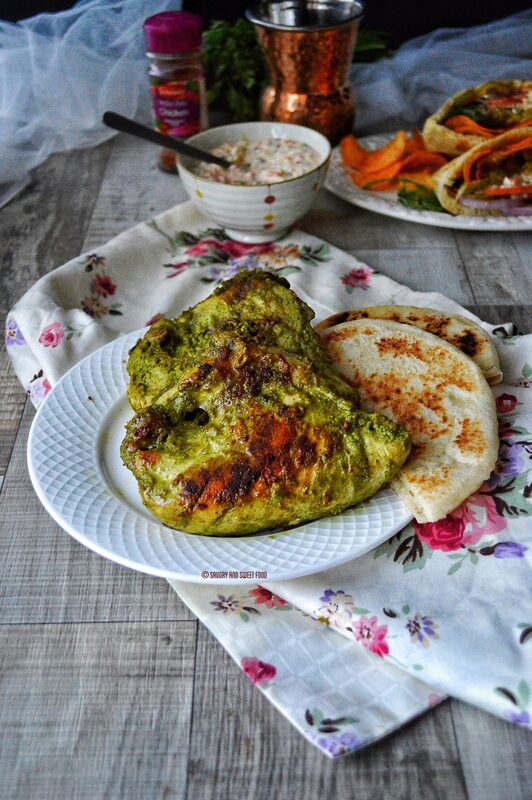 Herbed grilled chicken, coleslaw and pita bread and pita pocket recipes are being published here today. Isn’t that great! 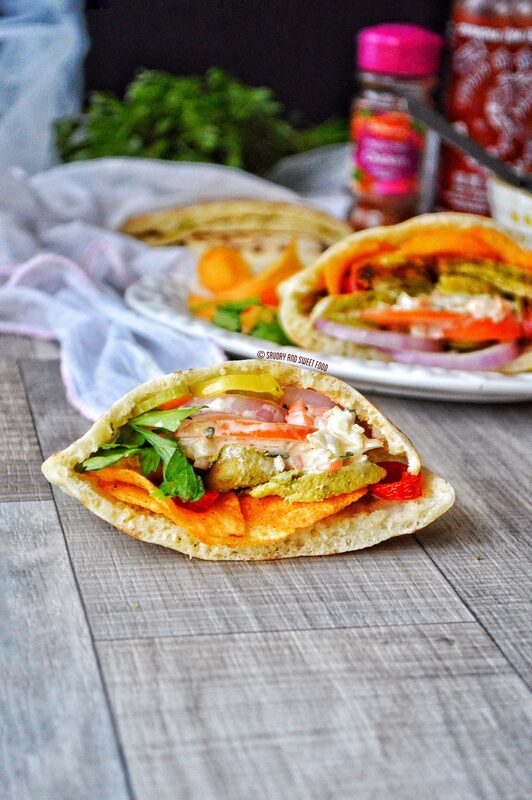 The one main ingredient used in this pita pocket is OMAN CHIPS, my faaaav! The relationship between me and Oman chips dates back to the late 80’s. And I am sure most of the 80’s and 90’s kid brought up in the GCC will share this special attachment towards this immortal chips as well. So, it will be an injustice to the chips if I don’t give it its due importance in my blog. 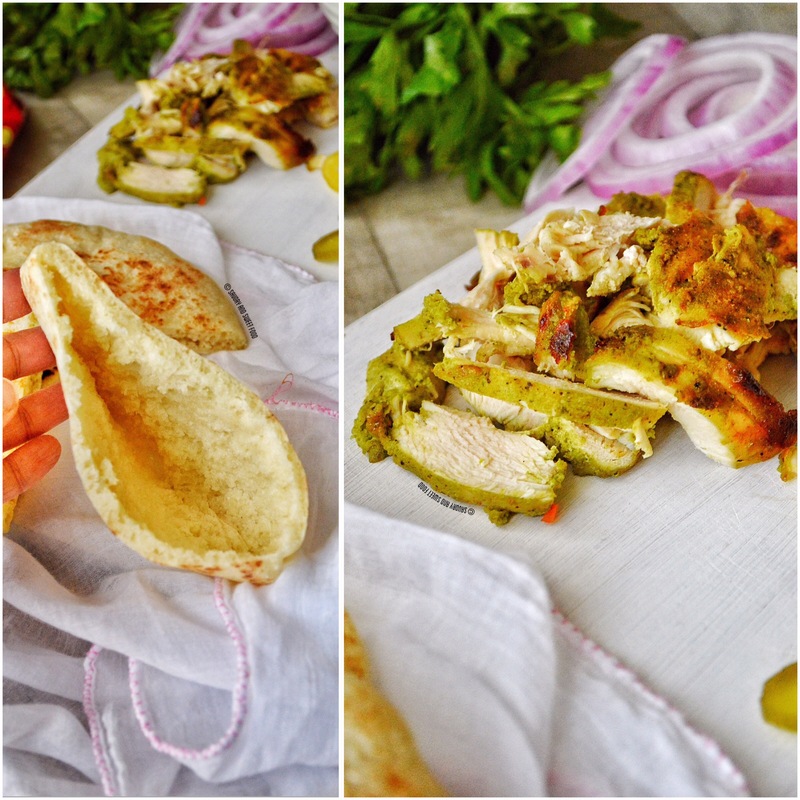 So i thought why post a recipe of chicken pita pockets with chips oman. I made some pita bread at home for this and i was very happy with the result. It turned out to be a very soft and spongy pita, even the next day. It tasted a little like naan. The coleslaw was good too. I had some left over Ranch sauce….so i chopped up some cabbage and carrots and added to it, sprinkled some sugar, mixed it and refrigerated for an hour or so. ✔️ You can use the plain, simple coleslaw for this too. Recipe for that is here. ✔️ The grilled chicken can be eaten as it is. ✔️ If the directions for preparing pita bread looks intimidating, just watch this Video for easy understanding. ✔️ If you don’t get chips oman in your plce, just use any of your favorite chilli flavored potato chips. 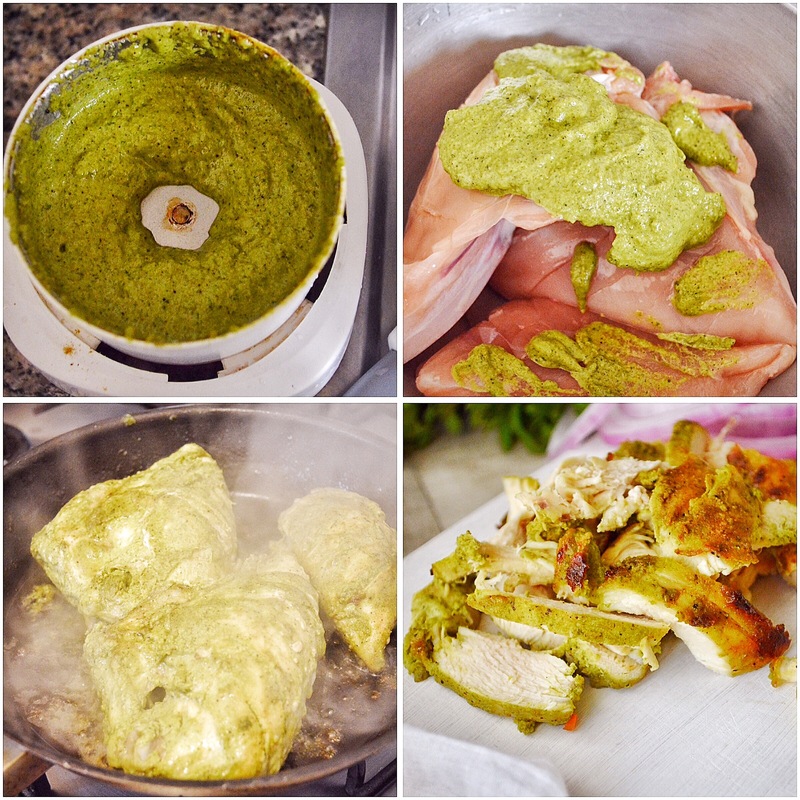 Grind all the ingredients listed under marination till you get a smooth paste and add it to the chicken. Let it marinate for 2 hours. Heat a griddle pan, add some olive oil and grill the chicken till done. 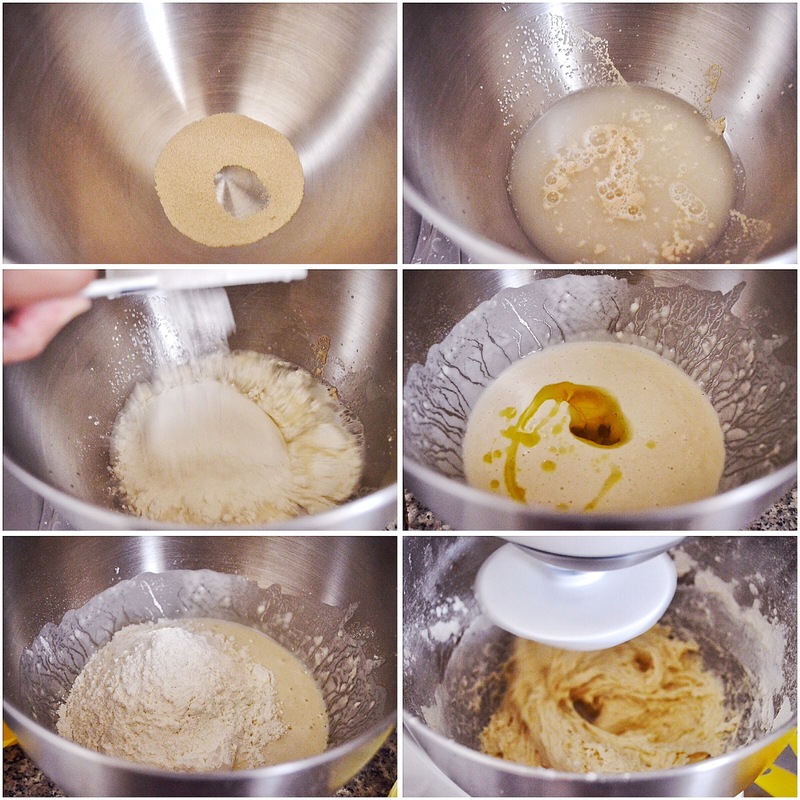 Place yeast into the work bowl of a stand mixer and add 1 cup warm water and 1 cup flour. Whisk together and let stand 15 to 20 minutes for mixture to rise and make a loose sponge. Mixture will bubble and foam. Knead dough with machine on low speed until slightly springy and still soft, 5 to 6 minutes. ( Or knead with hand for 5 minutes) Turn dough out onto a floured work surface and form into a ball. Wipe inside of bowl with 1/4 teaspoon olive oil. Turn dough around in bowl to cover with a thin film of oil; cover bowl with foil and let sit until dough has doubled in size, about 2 hours. Remove dough from bowl and place onto a floured work surface. Lightly pat into a flat shape about 1 inch thick. Use a knife to cut dough into 10 pieces. 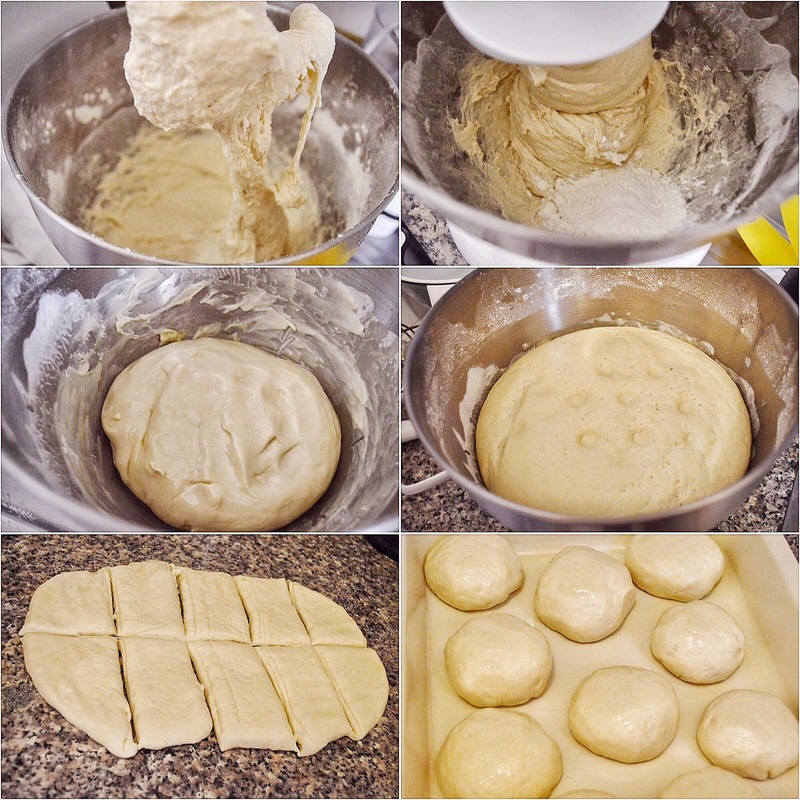 Form each piece into a small round ball with a smooth top, pulling dough from the sides and tucking the ends underneath the bottom. Cover the dough balls with a damp cloth and let it rest for 30 minutes. Sprinkle a small amount of flour on a work surface and top of a dough ball; gently pat dough ball flat with your fingers, forming a flat, round bread about 1/4 inch thick. Let dough round rest for 5 minutes. Repeat with remaining dough balls. Brush a cast-iron skillet with remaining 3/4 teaspoon olive oil and place over medium-high heat. 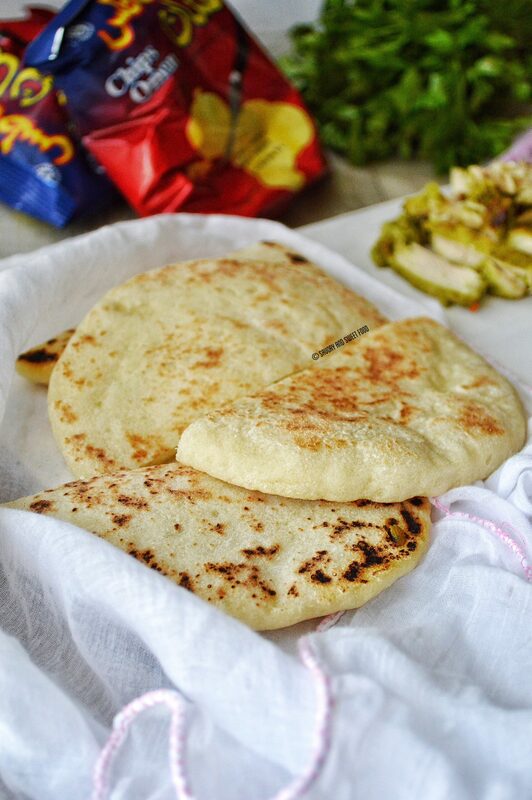 Lay pita bread into hot skillet and cook until bread begins to puff up and bottom has brown spots and blisters, about 3 minutes. Flip, cook 2 more minutes, and flip back onto original side to cook for about 30 more seconds. Pita bread will begin to puff up and fill with hot air. Stack cooked breads on a plate; when cool enough to handle, break breads in half and open the pocket inside for stuffing. Crush the garlic with salt. Mix all the ingredients with this except cabbage and carrots. Add the chopped cabbage and carrots to the sauce and refrigerate for an hour or more. Slice the grilled chicken. Place that in the pita pocket. Add a spoonful of coleslaw, the pickled cucumbers and green chillies. Then the tomatoes , onions and some parsley leaves. 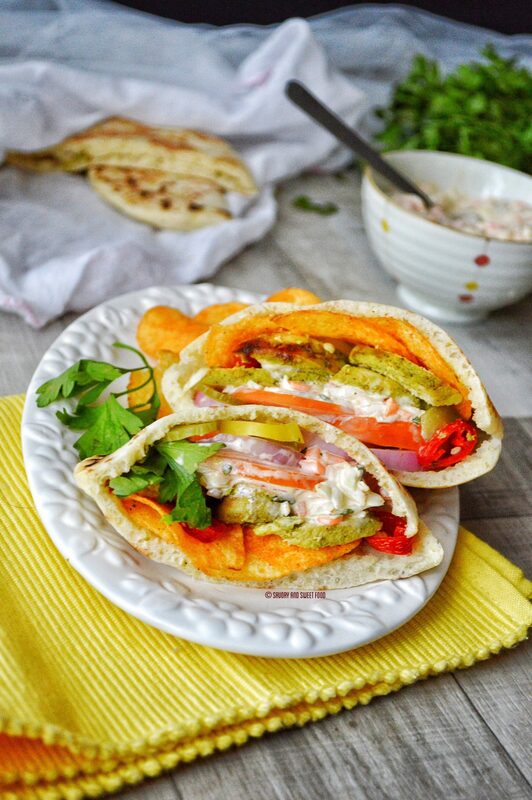 Pita pockets stuffed with green herbed grilled chicken, veggies, ranch coleslaw and spicy chips Oman. * You can use the plain, simple coleslaw for this too. Recipe for that is here. * The grilled chicken can be eaten as it is. 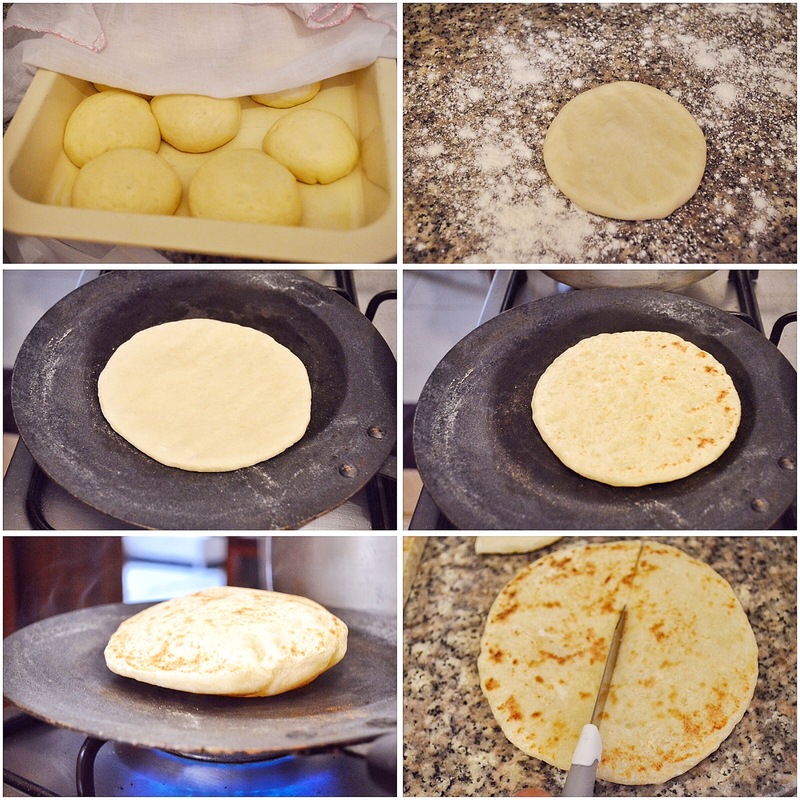 * If the directions for preparing pita bread looks intimidating, just watch this Video for easy understanding. 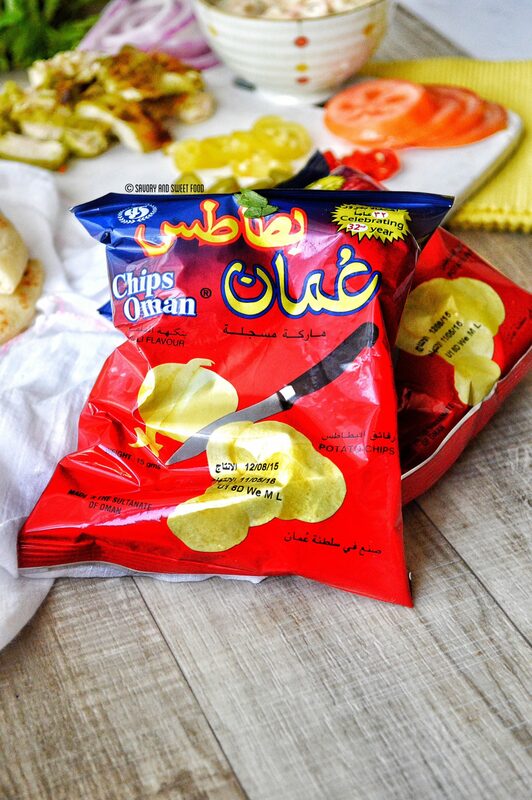 * If you don’t get chips oman in your plce, just use any of your favorite chilli flavored potato chips. I cannot tell you how good these look! 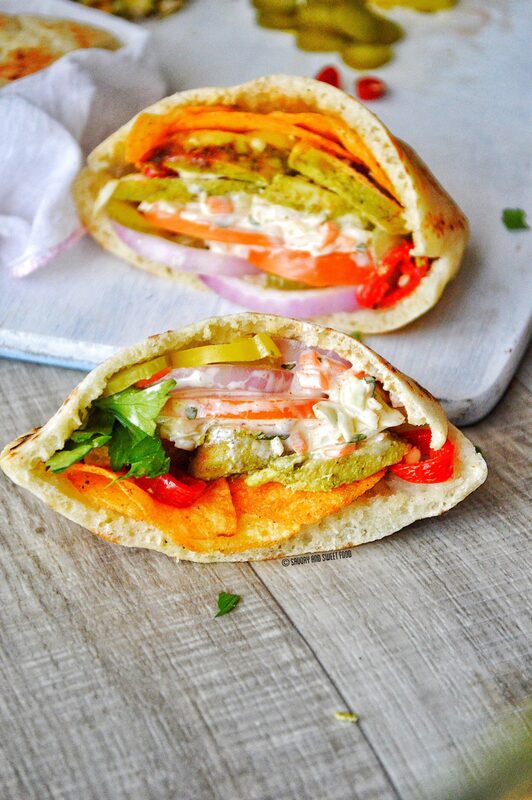 beautiful puffed up pita bread! I need to try this recipe definitely! 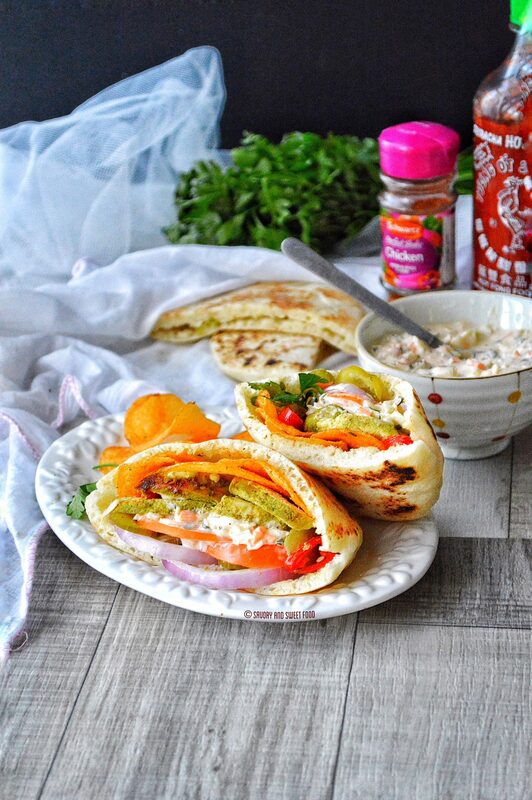 Woow pita breads looks so perfect!i used to make this like shawarma pockets,but will surely try this one and your perfect bread,and no words your presentations and pics. Really a great fan of yours. Love the whole thing! 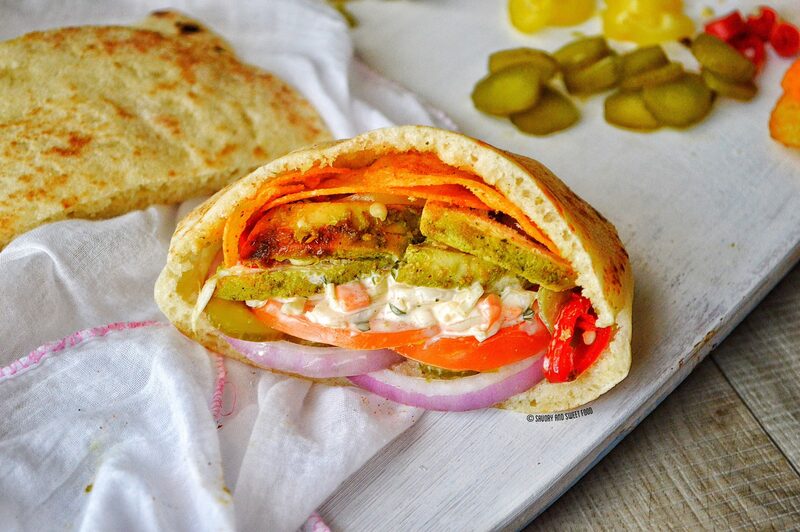 The pitas look great mA, and the whole sandwich put together looks mouth-watering!